P.S. Arkwright informs Martha Berry that he will not be able to speak at the commencement. P.S. Arkwright, “Letter from P.S. 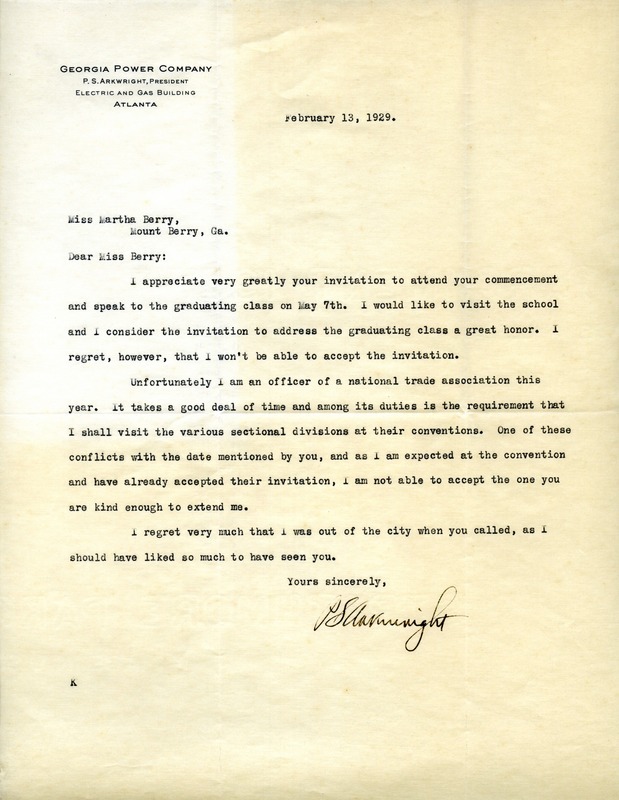 Arkwright to Martha Berry.” Martha Berry Digital Archive. Eds. Schlitz, Stephanie A., Kelli Kramer, et al. Mount Berry: Berry College, 2012. accessed April 21, 2019, https://mbda.berry.edu/items/show/9438.